Hempura CBD vape oils have been specially developed to contain the full spectrum of cannabinoids from the cannabis plant and contains zero artificial flavours or colours. 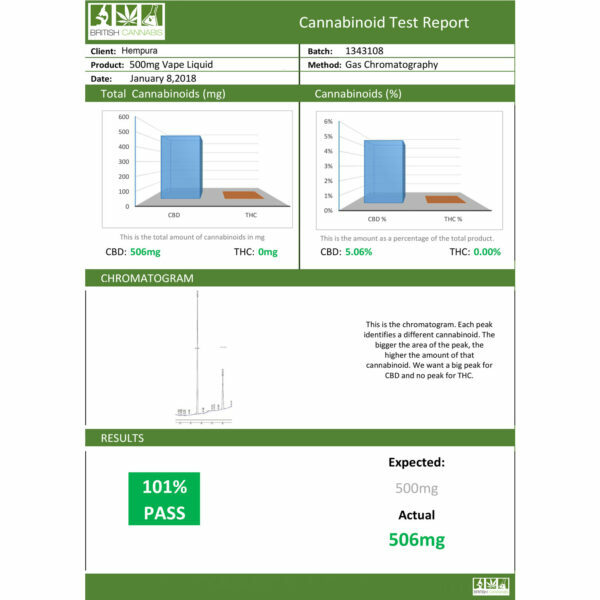 The vape oil contains zero CBD isolate and is therefore compliant with all UK laws unlike the majority of the vape liquids on the market today. 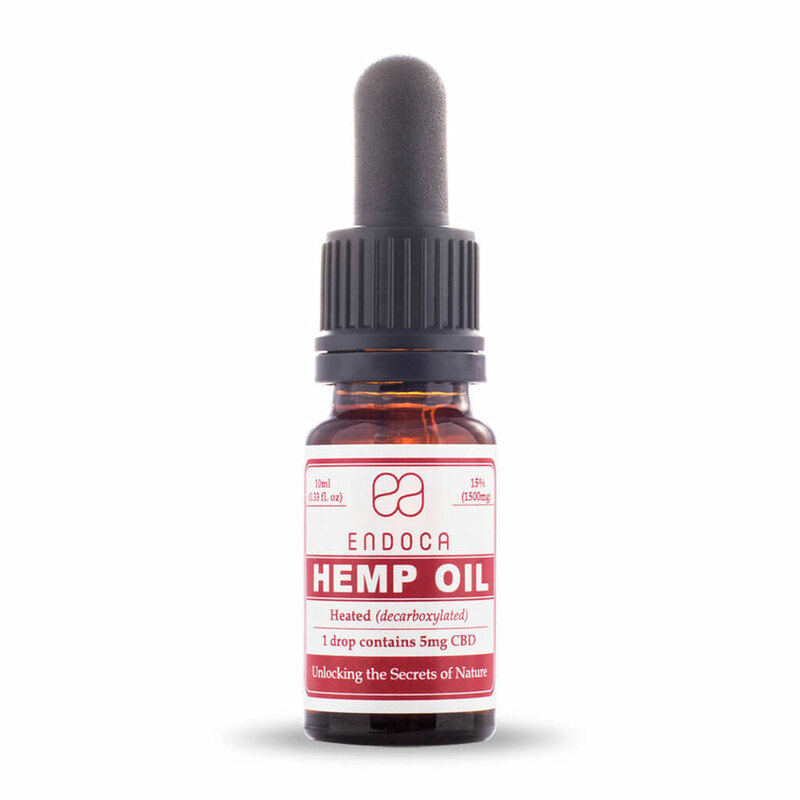 The taste of this vape liquid is a delicate hint of cannabis that originates only from the raw materials used during extraction. It is possible to vape on it’s own or mixed directly into your favourite e-liquid flavours. 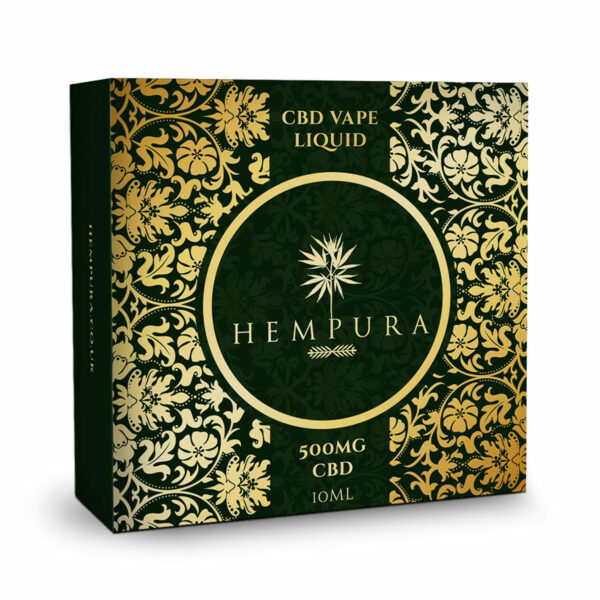 Vape the liquid on it’s own or mix 1 pipette of Hempura vape liquid into your favourite flavoured e-juice. 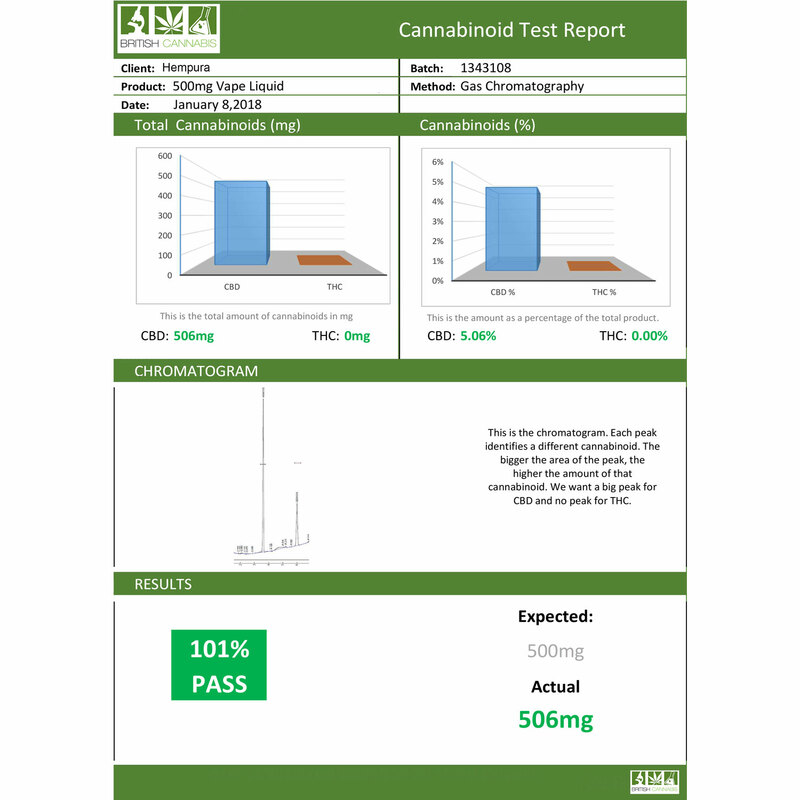 Cannabinoids in highest concentration: CBD, CBDA, CBN, CBG, CBC, CBL, CBV, CBDV, CBCV, CBGV, CBE, CBT.